A clinical psychologist says that blaming videogames for outbreaks of mass violence is not only a waste of time but also actually smacks of racism. It's a sadly familiar pattern. Somebody snaps and kills a bunch of people, and fingers immediately start pointing at videogames. The most recent example is the horrific mass murder in Oslo, Norway, that left 76 people dead at the hands of a lunatic who claimed that he used Modern Warfare 2 to train for the attack. But Christopher Ferguson, a psychologist at Texas A&M and well-known expert on videogame violence, says that such accusations are not only a waste of time, but even a little bit racist. "I know it's a little controversial to say but there's a certain type of racism in place with these killings," he told Forbes. "When shootings happen in an inner city in minority-populated schools, videogames are never brought up. But when these things happen in white majority schools and in the suburbs, people start to freak out and videogames are inevitably blamed. I think that there's a certain element of racism or ignorance here." The problem, he said, is that the public doesn't want to accept that these killing sprees are effectively random and unstoppable. "People really want to know what kind of boogeyman can we hang this on and videogames are still the top choice when it comes to any type of tragedy," he added. But he also pointed out that the anti-videogame rhetoric is far more muted today than it was a decade ago. The extensive research that's been done in the years since the 1999 Columbine murders have largely debunked the idea that violent media contributes to violent behavior, a point emphasized by the recent Supreme Court decision affirming the First Amendment rights of videogames. 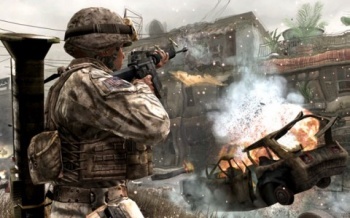 "One thing we've learned from research is that approximately 95 percent of young boys have played a violent videogame. That becomes a tricky thing when these mass homicides occur and the shooter is a young male. The odds are he's played violent videogames," Ferguson said. "Linking the playing of violent videogames to a mass homicide when the perpetrator is a young male is like blaming the killing on the fact that he was wearing sneakers," he continued, noting the "statistical anomaly" of Virginia Tech killer Seung-Hui Cho, who did not play videogames. "The base rate of that behavior is so common that it has no predictive value whatsoever."